Name one person that lives by the trilogy: The Bible says it, I believe it, that settles it. Once you realize that no one belongs on your list, then you may be ready for Scot McKnight’s new book, The Blue Parakeet. In his most recent book, Mcknight takes on everyone who claims to completely follow the Bible. Everyone, suggests McKnight, “picks and chooses” the portions of scripture to live out. No one lives out the Bible en toto. But rather than giving up on the Bible, accepting this fact allows us to discover the “inner logic” by which we pick and choose what we believe and what we live out. Don’t misunderstand. McKnight writes from within the framework of a high confidence in the Bible. His issue is not with the scripture. His issue is with you and me and how we read it. The title of the book is based on one of McKnight’s experiences as a bird watcher. One day McKnight notices an unusual blue bird in his backyard. As he sought to identify the bird he noticed how the sparrows in his yard reacted to this unusual visitor. At first the sparrows were terrified, then they tried to “train” the new blue bird to act right, and eventually they adjusted to the new bird’s presence. But the new blue bird, which turned out to be a Parakeet, never became a part of the landscape. He became a “familiar stranger” to the sparrows. The sticky portions of scripture are like blue parakeets in our midst. What’s sticky to you — homosexuality, women in ministry, foot washing, the Sabbath — may not be the scripture that is sticky to me. But the issue is not what do we do with the Blue parakeet. The real issue is what kind of sparrows will we be? Will we seek to tame the blue parakeets, be terrified and avoid them, or recognize that these blue parakeets are different, acknowledge them. This leads to something I consider very valuable in the Blue Parakeet. Scot argues for telling each other (and ourselves) the truth about how we read the scriptures. If we can acknowledge that we all pick and choose some scripture over other scripture, then we would be in a better position to understand the logic by which we choose what we emphasize. Why do we have different points of view over certain scripture? Is there some scripture about which we can and should say, “That was then, this is now?”Â By what criteria do you pick and choose your scripture? All I can say is fun, fun, fun. This book is written from the perspective of a very high confidence in the scriptures, and would serve you if you’re wishing to get real with yourself and re-think how you read and understand the Bible. Have you read the Blue Parakeet? What do you think? i just ordered my copy and look forward to the read. 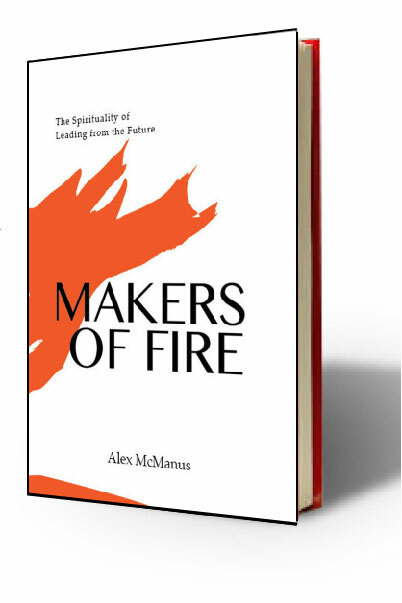 mcknight is a sharp thinker and is an important voice in the emerging missional movement. i hear the phrase lately “having a high view of Scripture.” can people have a “high view of Scripture” and disagree on some of the important issues mcknight addresses. too often i have heard people attack other Christ followers view of Scripture when their interpretation and/or practice differs. does mcknight provide a fresh way of living together in unity with being uniform? Jesus didn’t come to save the planet….he came to save the lost. Who is lost any more? The heavens and the earth are included in God’s redemption. Many of us are not aware of the extent to which the creation is an interconnected bundle. Of course humanity is in need of a reconnection with God through Jesus. Jesus Christ came to save sinners. You’re right to point that out, I think. Arrgh, yet another book to add to my must-read Christmas list! I think there’s an opportunity here to write an article about how we pick and choose which BOOKS we actually read, from among the crowd of “great books I want to/ought to/must read”. George, I believe a lot of Christians are lost in the way that Western Christianity is so undermined in dualistic Greek philosophy that the plain message laid out in the Bible has totaly become strangely interpreted. N. T. Wright (Surprised by hope) paints a fresh picture of hope and Christianity with a view on the earlieast Christians and what it means for Mission and the wider world. (Back to the roots) It has changed my life and my thinking around. I finally understood what to make of it all in a non theoretical well rooted personal way.